Update on the 52 Whiskys In 52 Weeks Project: It’s Week 49 and I’ve only clocked up 13! I’ve tried to get into the spirit of things but I think maybe I just don’t like whisky. I’ve dabbled across the islands, Highlands, Lowlands and Speyside and while the milder fellas taste less like punishment, it’s not exciting me like it would if it were 52 gins or 52 chocolate bars. It’s mostly likely because I just slurp about a teaspoon’s worth then declare, “Bleeeeurgh!”. And I’m still intrigued by the romance and history and culture of whisky, so I’ve decided to persist. Except the timeframe for the project has been extended from 52 Whiskys in 52 Weeks… to 52 Years. 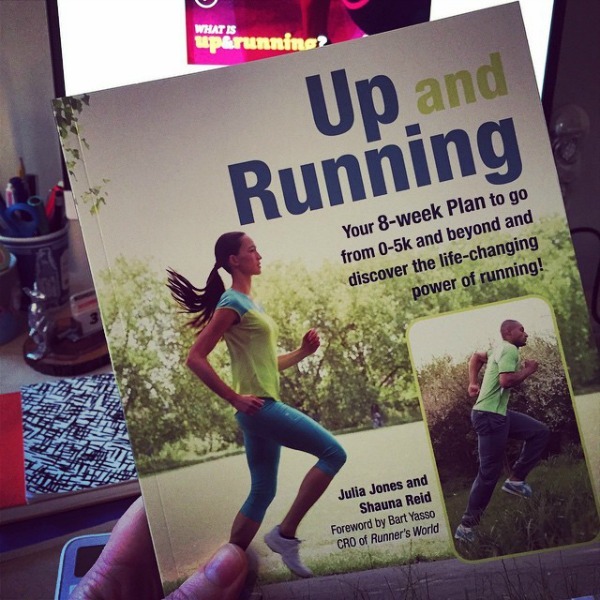 In other news, from January to May this year Julia and I wrote a beginner’s running book. It’ll be published on 8 January! My author copies arrived yesterday and I’m chuffed with how it turned out. All voice dictation typos removed! Seriously, it’s a beautifully made book and the innards are encouraging, informative and inspiring. And it allegedly, “makes you want to put the book down and go out running right away”, according to Test Reader Rhiannon. All the lowdown is on the Up & Running book page if you’d like to know more. I feel kind of ridiculous to have co-written a book about running. Me with the dodgy knee and preference for walking and weight lifting. But as with our courses Julia brought the gallons of running expertise and I brought the beginner’s perspective and conducted the interviews and organise the information. Then both being writer types we brought it all together in a blur of Google Docs and Skype sessions, tapping and yapping long into the night. Working with Julia through the whole process was the highlight of 2014. 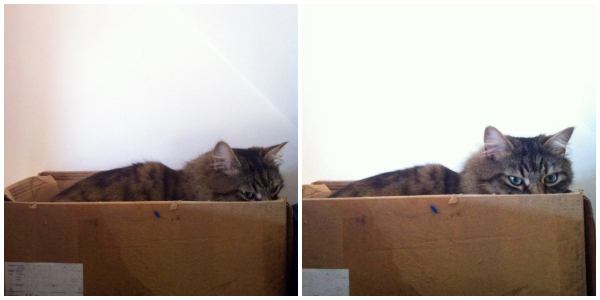 Finally, remember how earlier this year I found the Evil Neighbour Cat (not the good one) sitting in my box of Dietgirl books? I’ve been meaning to say, if anyone would like a copy please just zap me a message and I’ll send one, if you can PayPal the postage costs. Of course, I’ll take out the top layer of furry books first! UPDATE: All copies gone now. I just re-read the Amazing Adventures of Dietgirl a month or so ago. Will you be insulted to know I had it in the loo? 🙂 One of the funniest books ever – my favorite part is when you tell Gareth “You rawk!” Oh man. I have my own equivalents of that moment, so it always cracks me up. Congratulations on your new book, and I hope it is wildly successful! It is an HONOUR to make it into the Gingerzingi Loo! Congratulations on being published again! You are a true “orthur” (or however you spelled your description of your childhood pronunciation of “author”!). I am so excited for you, Shauna! And woo-hoo for getting Bart Yasso to do the forward– he’s running royalty! Our neighbor’s cat who adopted himself in to our lives, just jumped up and sat on the shelf with the ashes of our cat who died last year (we didn’t get to the beach to spread his ashes yet. ) Cats are weird. Hey, congrats and good luck Shauna! Re: the whisky (that you don’t actually like)I just saw someone on twitter who tried (and apparently succeeded) in listening to 365 (!) albums in 2013. How about 52 new albums? Hi Shauna, congrats on the new book – impressive endeavours! Really hope it does well.